A fair trade traditional wooden toy taxi. Beautifully handcrafted from chunky sustainable natural rubber wood. A traditional wooden London Union Jack taxi handcrafted from chunky natural rubber wood. 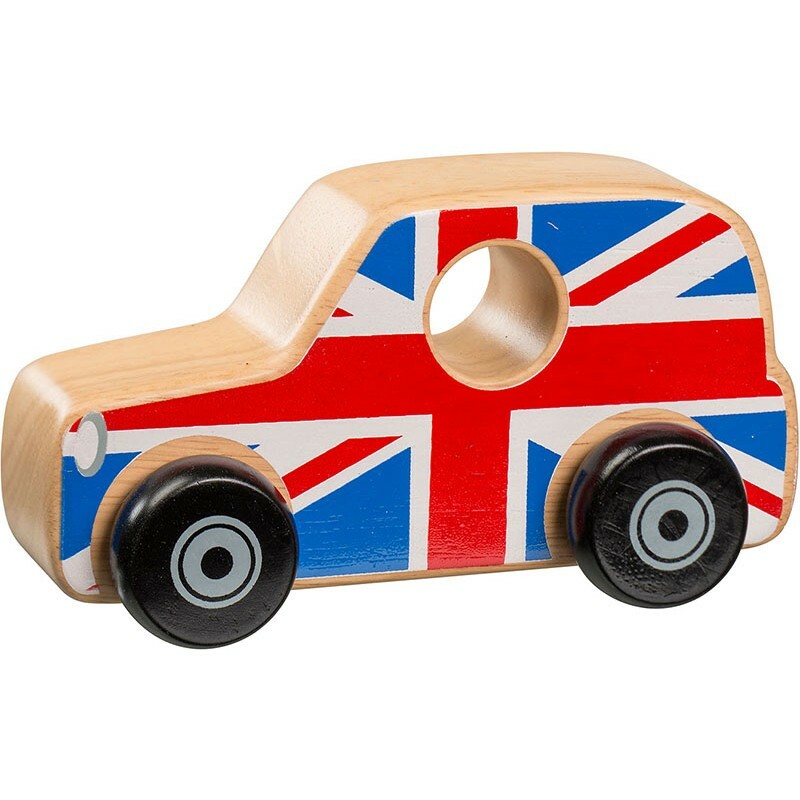 Children will love this British toy car which is part of a wide range of fair trade wooden vehicles which includes cars and a fire engine, bus and train.